We all have financial goals that keep us motivated. Perhaps you put all your focus on improving your credit score, and success seems further away than what you ever could have imagined. Then this post is all for you, my friend! Here are 5 ways that work to improve your credit score. Did you know that late payments could cause significant score drops? Which means you may have to set reminders to make sure you stay on top on this in the future. If auto-payments is an option, set it up! The more organized you are, the easier it is to cross off each “to-do” on the score improving list. Let me show you some shocking stats. 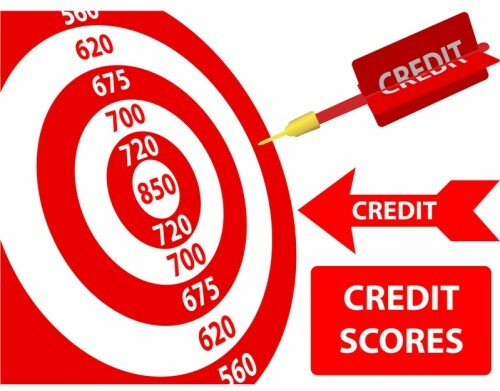 A whopping 79% of credit reports are said to have a least one error on them! Such errors can actually drag down your score. That’s why it’s so important to stay up-to-date with your credit report for accuracy. If you notice any errors on your credit report or need help to identify them altogether – ScoreShuttle who specializes in this field may is here to help. If you use credit cards regularly, you want to stay below 30% of your credit limit each month. Which means, that if you have a credit limit of $1000, your goal should be to spend $300 or less until you pay it off. Why is this significant? Because the more available credit you have, the more appealing you look to potential lenders. Ultimately, it shows that you’re a financially responsible person. A lot of people actually don’t even know that it’s possible to increase your credit limit. All you have to do is pick up your phone an call your lender. The worst that could happen is ‘no’ as a response. In addition, the more available credit you have, the more likely you are to stay under the 30% utilization ratio. Diversifying your profile means different sources of credit. For example, this could include a credit card mixture, student loans, installment loans, mortgage and more. Of course, you need to stay on top of payments for all kinds of loans for it to benefit you. With that said, opening up 12 new credit cards or getting a loan that you can’t afford is not the trick.